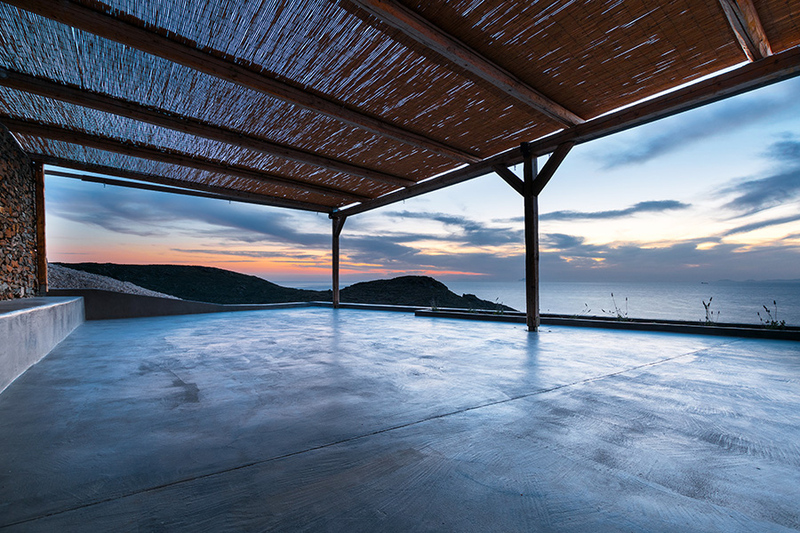 Retreat, meditate and connect in our homeland, Greece. Join us for 8 transformative days with plenty of nourishment and rest in one of the most serene islands of Greece. Expand your physical and spiritual practice in a beautiful outdoor covered yoga shala, enjoy healthy vegetarian meals prepared with local products, swim in crystal clear waters. 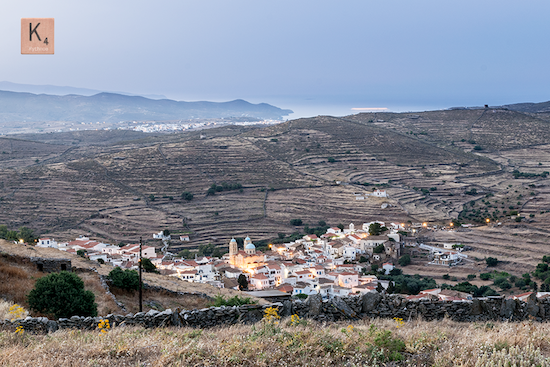 Discover a new a culture, meet like-minded people, rest and reset in Kythnos. The golden thread flowing through the physical, mental and spiritual aspects of yoga forms the foundation of this retreat. The unison / connection of mind and body focuses on an all-encompassing approach to wellness, from the inside out and outside in. Body ~ Working on transitions and how to move in and out of poses with ease. Enjoying the capabilities of your body. Budokon techniques are applied to support transitions, helping you to build strength and control over your body. Mind ~ Connecting your mind and body as one, learning to honor your personal journey and appreciate your wellbeing. Learning to enjoy the present moment (on this beautiful island!) without comparison to others. Spirit ~ Observing the subtleties of yoga and the scope of positive effects while practicing. In Sanskrit, the word yoga itself means “union”: unfolding the endless potential of mind, body and sprit that enables us to achieve pure mental and physical control, healing and wellbeing. - Budokon is a "mixed movement arts system" that aims to transform the mind through movement - building awareness, strength and developing the mind-body connection. The practice offers an intense full-body workout, combining the integrity of martial arts movement with the strength of calisthenics, the playfulness of animal movement and the fluidity of yoga. Some wild landscapes can be so beautiful that nothing can stop you from getting there. Located in a slope and shaped by man-made geometrical stone-built rows you can barely feel what is design and what is nature. The land blends harmoniously into the physical buildings. Kastellas is a serene, secluded beach at the South-west side of Kythnos next to the Flabouria seaside settlement. The ancient remnants of the little castle that used to be on the top of the hill adds a sacred sense in the wilderness of the surroundings. Local, fresh, organic, gourmet, the dining experience at K4 Kythnos will physically energize and nourish your body and soul. We fully support the Mediterranean diet not only because we’re in Greece. It has long been one of the healthiest diets known to man. The large outdoor area with its bespoke handcrafted communal table sets the tone and the purpose of this place: pleasure and happiness must be shared! But it’s not just a way of eating … it’s really a way of life! Four villas that consist of an open space living room, kitchen and dining room, three bedrooms and two bathrooms. Two suites with small kitchen and bathroom. The participants of the retreat share one or more of the three-bedroom villas and the two suites. - Access to common areas: swimming pool and pool patio. - Bed linen and towels are provided. Cleaning twice a week. In the central part of the island you will find the largest village of Kythnos island, which is Dryopida. As you enter, you can see the sizeable neighbourhood of Galatas, which offers a glimpse of its very distinct architecture, with its tiled roofs and labyrinthine alleys. Continuing the tour through the narrow streets, you will see the largest church on the island, Agia Anna, Kythnos’s version of the Athens Metropolis. Crossing the main street, the so called Piazza, you will greet and meet the Greek ladies of the village, sat there drinking their coffee and gossipping the island’s news. The next stop is the enchanting cave of Katafyki, one of the largest in Greece. To finish the walking tour we visit first of all the Byzantine Museum, with its rare and famous collection of Orthodox icons from previous centuries, and then we go to the Folk Museum where we learn about the lives of Kythnos people from days gone by, both rich and poor. Vacations in an enchanting Mediterranean island surely evoke a sense of calm and tranquility on their own. Guests are welcome to add to their experience with an optimal relaxation experience with one of our most exceptional massage therapies. Feel free to spoil yourselves in the capable hands of our healers and unwind. Kythnos has two really rare thermal springs. One of them, Agii Anargiri, (38C) is diverted into the spa building where people can have a thermal spa in one of the bathtubs and the second one, Kakkavos (52C), is diverted into the sea where a natural "Jacuzzi" has been constructed just next to one of the beaches in Loutra village. A fish dinner, at the picturesque port of Loutra, to wrap up the day is recommended! Kythnos has 92 beaches! Beach hoping is always a fun day to organize! A private boat tour can be arranged to the ones that are not accessible by car. A boat trip to the famous double beach of Kolona is always a must! If you are in the mood, you can even jump on a sea kayak and go beach hopping. embrace the pure island life! Walk on hiking trails with exceptional beauty, take diving or snorkeling lessons, go sailing and canoeing, or visit "Vriokastro" the ancient town of Kythnos. We can arrange for you to watch a beekeeper make honey, learn to cook local pies, organize a pottery workshop or even learn how to make “pastelia”, one of the Greek traditional sweets. Angela is a London based teacher who has been practicing yoga since the age of sixteen. The initial motivation for starting her practice began during her years of dance training. She turned to yoga to help heal her body from the physical strains of ballet and contemporary dance. The positive results and benefits made her curious to gain a deeper understanding of the dynamics of yoga and be able to share them with others. Her path began in Cape Town with an Ashtanga Yoga teacher training course, opening her mind to the many possibilities and depths of yoga. She has since completed her 500 hour Advanced Teacher Training, 50 hour Yoga for Sport as well as her teacher training in Budokon Yoga from the Budokon Academy in Miami - a contemporary form of yoga that draws from Martial Arts, calisthenics and animal locomotion. Angela teaches a vinyasa based class and incorporates Budokon training techniques. This type of practice focuses on physical awareness whilst developing the ability to listen to one’s body, with the purpose of reconnecting body and mind. Looking for authentic island living? For remote beaches that even in August you can swim like nobody’s watching ? For unspoiled seashores away from the noise of beach bars? For whitewashed villages where people still live on their traditions? Kythnos is Cyclades’ hidden gem, still unspoiled by mass tourism and known for its magnificent 100km coastline of sandy and pebble spread bays. 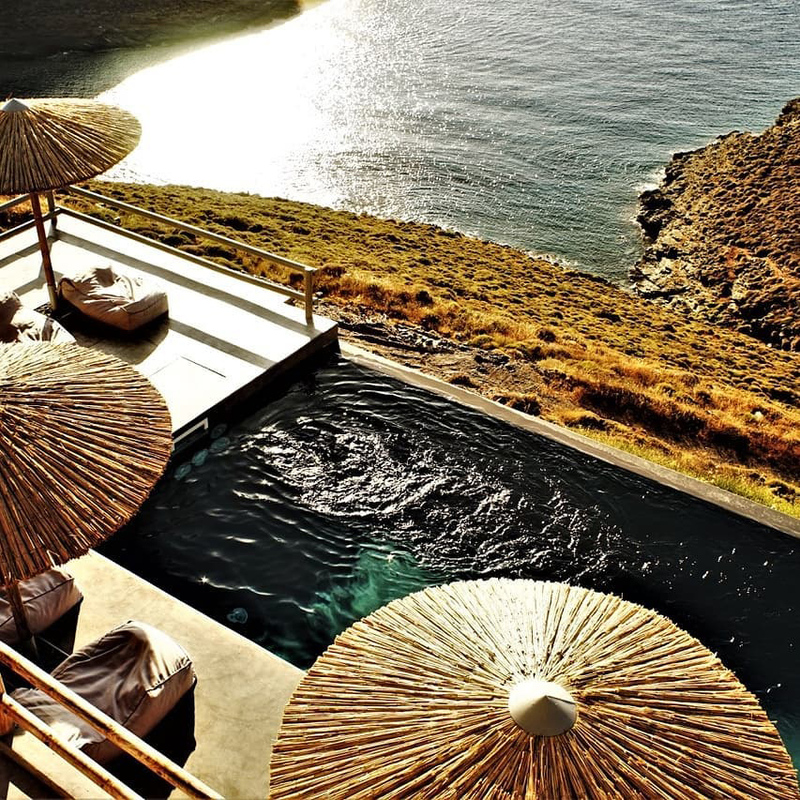 It belongs to the Western Cyclades, located in between the island of Kea and Serifos. The closest port is Lavrio where the boat reaches Kythnos within an hour and a half. Lavrio is also the closest port to Athens’ airport Eleftherios Venizelos. After arrival to Athens airport, Lavrio port is at a 30 minutes ride. From there the boat takes you to the island of Kythnos in one and a half hour. • Round-trip transportation from Athens airport to Lavrio port with mini-buses. • Round-trip transportation with taxis from Kythnos port to our resort. Please plan to arrive to Athens Airport by 1pm on September 14th and depart after 8pm on September 21st. If you require additional assistance in securing transportation please let us know. We have done this trip many times, we are happy to help! *The transportation refers to the whole group. Private transfers can be arranged if needed at an extra cost.